Emerald House of Cars, just 11 minutes away from Walsall, provides used Hyundais. 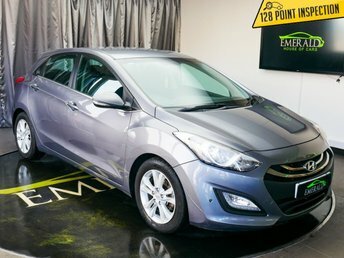 Emerald House of Cars provides pre-owned cars from a number of prominent manufacturers, such as Hyundai. Asian producers Hyundai, created by Chung Ju-yung, has been making Hyundai vehicles since 1977. Emerald House of Cars's advisers deliver exceptional service and we will not be happy until we have done everything we can to make sure that you are completely satisfied with your purchase. All of our cars go through extensive checks so you can be certain that any vehicle you want to invest in from Emerald House of Cars meets scrupulous safety conditions. To look at our extensive variety of cars in person, visit our dealership in Wednesbury, near Walsall and we will be happy to accommodate you and tell you more about our cars and services.